Posting early again today because I have another day off due to the cold. It is cold too, went out just for a moment to feed the birds and that was quite chilling. 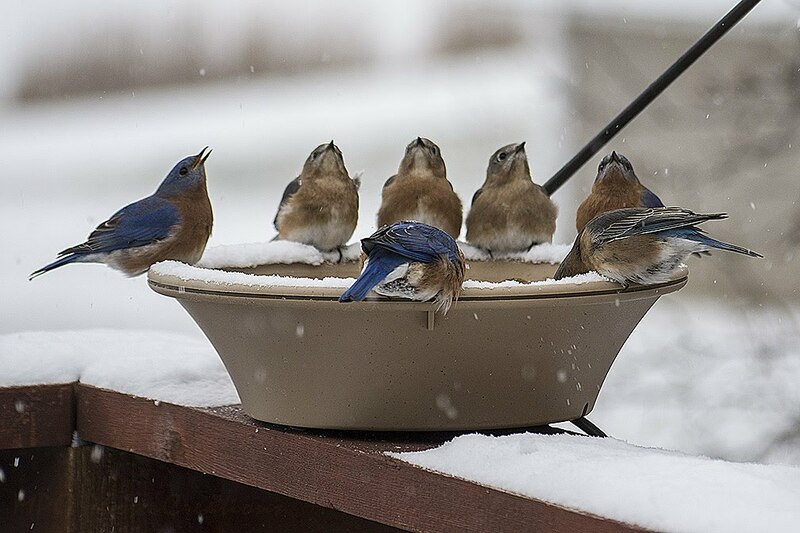 I got this image over the break at my in-laws home though, I don't get Bluebirds at my house much. It was snowing a bit and this big group of them came to have a drink. It was very neat to see so many at one time. I love how they have to stretch their necks out to drink. Looks like they are singing.